This hardbound canvas cover sketchbook is bound with fine canvas that is primed to accept all paints, including oils, acrylics, tempera, and gouache. Decorate the cover, or leave it as is to enjoy the textured look of linen canvas. Inside is fine quality 75 lb (104 gsm), acid-free, white drawing paper. 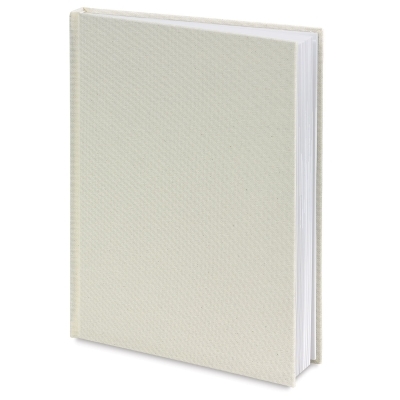 The long-lasting sewn binding allows pages to lay open flat. ® Cachet is a registered trademark.